A tiki mug is an obvious choice, but which one? One of my favorites to debut this year was the latest signature mug from Psycho Suzi’s, The Martiki, which was designed by Tiki tOny and produced by Tiki Farm. As a rule, Tiki Farm doesn’t sell these locale-specific mugs on their web site, but lucky for you Psycho Suzi’s has an online gift shop! This was gifted to me by Mr. Baseball’s family and I must say it’s even better in person. 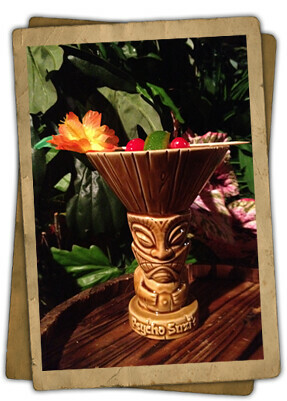 Also worth mentioning is the Tiki Temptress Classic Cocktails Set from Fluff designer Claudette Barjoud and Tiki Farm. If you’re looking for something more festive, the Tiki-Ti has just recently made their Santa-themed Kahuna Kalikimaka mug available for shipping (ordering details can be found on their Facebook page). 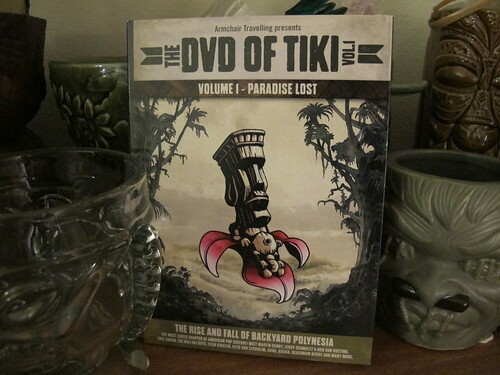 I had the pleasure of seeing (and purchasing) “The DVD of Tiki: Volume 1” when it screened at the Egyptian Theatre this summer. This 95-minute documentary by Jochen Hirschfeld chronicles how and why tiki bars became popular and then passé. 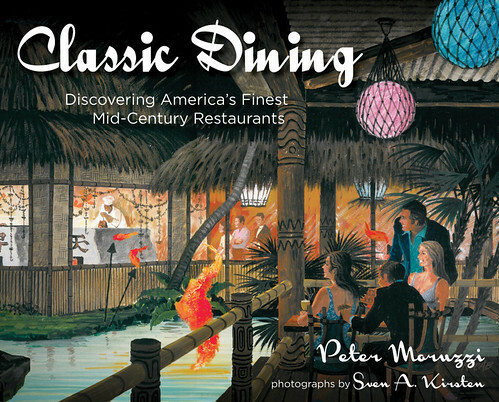 As I said before, it’s really is a must-buy for anyone that’s into tiki. Order it at www.dvdoftiki.com — shipping is available all over the world. James Teitelbaum (Tiki Road Trip) also has a new book this year entitled Destination Cocktails: The Traveler’s Guide to Superior Libations, compiling the world’s best bars including tiki spots like Smuggler’s Cove, PKNY, Mai-Kai and Tiki-Ti. 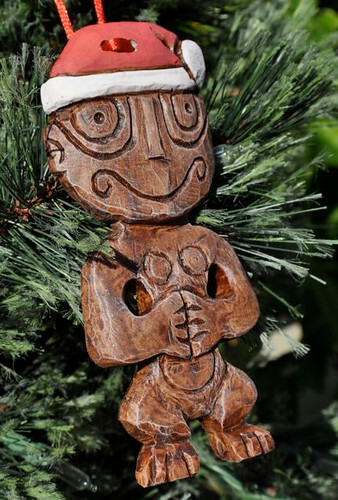 Our Christmas tree is being gradually tiki-fied as I’ve been collecting Polynesiac’s holiday tiki ornaments, which are hand casted and painted to look like carved wood. For 2012, he has a new design based on the “tiki babies” that fall from the flowers of the Tangaroa tree at the Enchanted Tiki Room at Disneyland. There are other awesome ornaments ranging in price from $12-$25, depending on the amount of hand-painting. Bonus: shipping is only $2 for the entire order. His Etsy shop has limited quantities, so act fast!